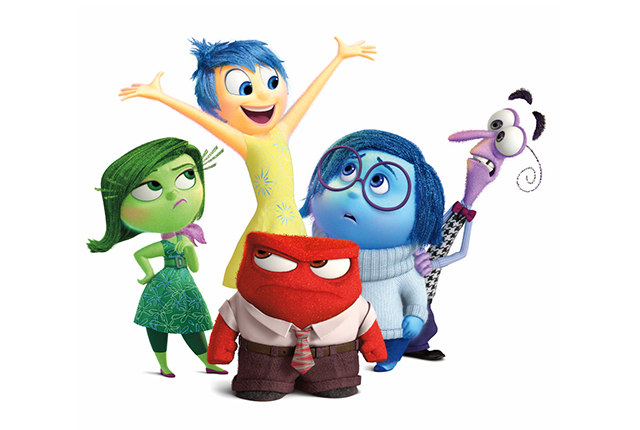 I took the kiddos to Inside Out movie at Water Gardens as a reward for enduring and working at the yard sale. The kids have been wanting to see it, but no way are we paying to go to the expensive theater. Anyhoo… it was a once-a-year special occasion with popcorn and drinks. “Whoa mom! Thanks so much,” said the kids. The movie is about a girl who moves from Minnesota to San Francisco. And then they go through all the emotions she feels. Joy always wants to take over and keep things running smoothly… but in the end, she realizes that Sadness is important to growth. In the end, LOVE of family helped combine JOY and SADNESS into a core memory. Obviously there was much more to the movie but that was the important part for our family. It was a perfect movie for our family right now with our upcoming move. It helped me realize some of the emotions and stress the kids experience starting at new school and new ward. This week I realized that my kids deal with the stress of this move so differently from each other. Hannah can communicate much of her stress and she cries sometimes. Abe just seems to be spinning and not sure where to land with it all. Max sometimes communicates, sometimes gets irritated with others. Tru and Eliza don’t understand how they feel and what the stress is all about… but they feel it. Mostly it shows in their behavior. Lots of whining and impatience. I hope we can help them learn to deal with change in a positive way… to communicate in words to help resolve things inside. It’s okay to feel! It’s how we learn to deal with those feelings that might be tricky. It’s okay to feel mad… but not okay to hit brother because of that anger. It’s okay to feel sad… but not okay to bring others down by your attitude. It’s okay to feel excited… but important to understand that not everyone might feel the same as you. Anyhoo… emotions. Good to understand and learn to communicate about… something that may take a lifetime (or beyond) to figure out with all our various relationships.